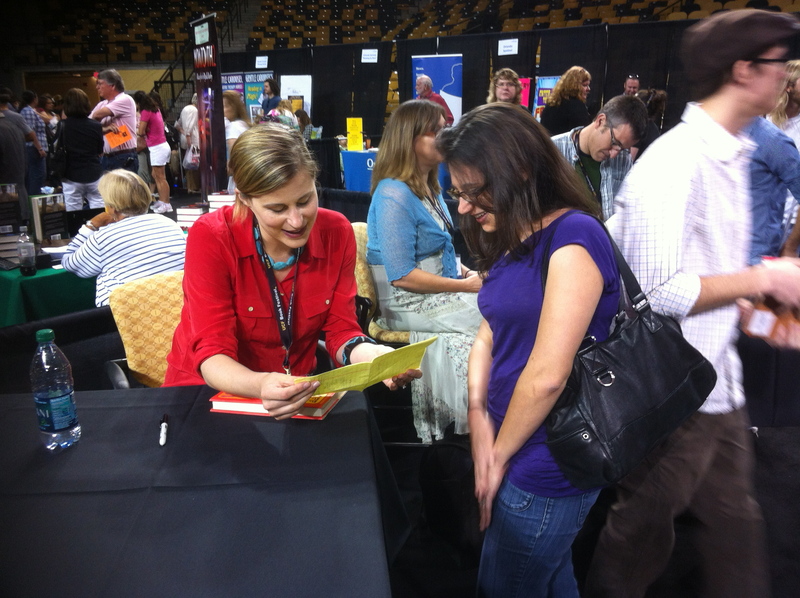 I went to the UCF Book Festival today, and had the best, most unbelievable time ever. I believe the experience can best be described by pictures. 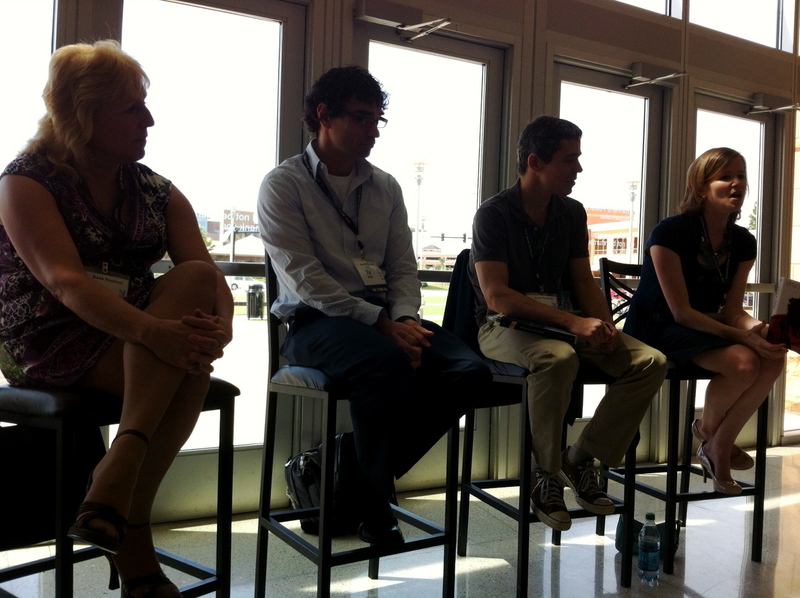 The first event we went to was a YA author chat with (in order of above photo) Ellen Hopkins (!!! ), Ty Roth, Allan Wolf and Jessica Martinez. In the end, I spoke with Martinez and Roth one-on-one. They asked if I wrote, and when I mentioned I just secured an agent, they literally cheered for me. We got to discuss the intricacies of the next stage, and they never made me feel like a fan, but more so someone in the same industry as them. Which was amazing. They are the nicest people ever, and if I could singlehandedly get the world to buy their books, I would. 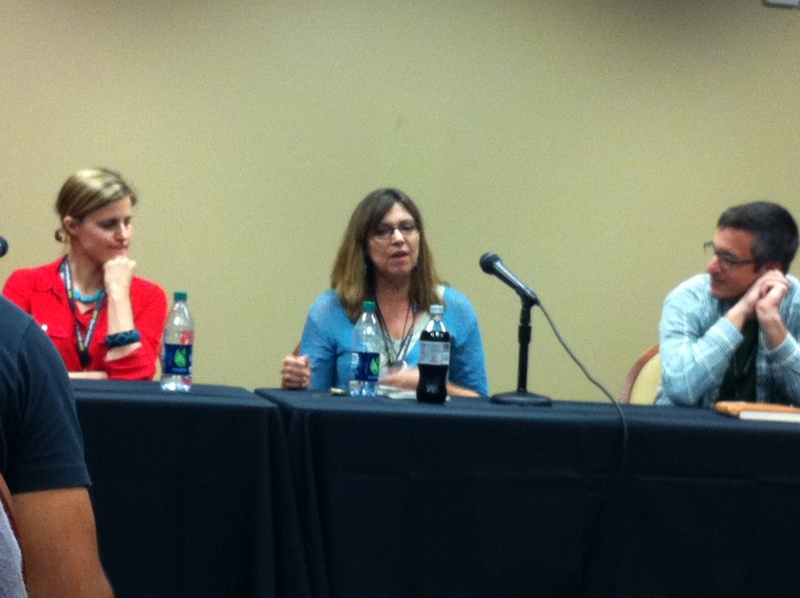 We then saw a contemporary voices panel with Lauren Groff, Darlin’ Neal, and Michael Griffith. Here’s the thing – Groff’s first novel, Monsters of Templeton, is one of my all-time favorite books. So seeing her was like a dream come true. After, we went to her signing. Because I’m the biggest dork ever, I showed her the family tree I made while reading MoT (which thankfully she liked and didn’t consider me crazy) and then she, too, asked if I wrote. 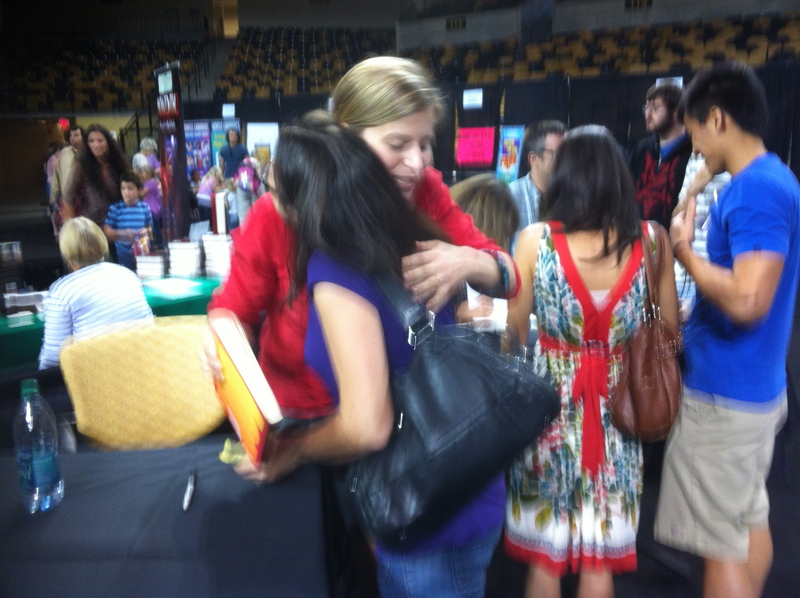 When I told her about my agent, she hugged me and my life suddenly felt complete. Biggest geek-out ever. The last panel was another YA chat (with the same authors as above), where they discussed the importance of YA literature, and how it gets teens to read. And how books can help people. And how books create new, safe, exciting, worlds. I nodded along the entire time, and had to stop myself from screaming AMEN. Because these authors? They’re so inspirational. The crazy thing is that if my book is published, I may be in their company one day. I may even be at this festival. Which is all so insane to even consider. During the first chat, Wolf explained that he wrote his book, The Watch that Ends the Night, because he liked the idea that different people get different stories from the same event. I’m sure many stories came from today’s book festival. Some may have enjoyed the other panels more. Some may have wished there was more. But me? I had the best day ever. Oh, we also saw some mini ponies. You look so excited. I’ve never been to a book festival – this makes me want to go to one and have my first experience! It sounds like you had an amazing time! 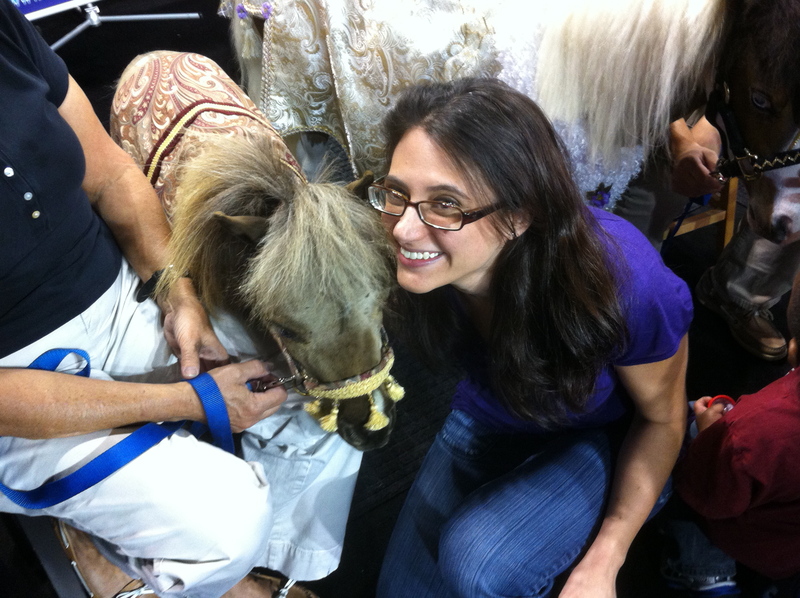 Wow — a day with some fabulous writers and potential mentors AND miniatures ponies?! You hit the jackpot. So glad I found your blog via The (Writer’s) Waiting Room. I need to go back thru your posts and see what library you work for. My first job (at 16) was in a library, and my current job (at 40) is back in a library. LOVE libraries. Hooray for libraries! I work at a public library in Orlando, FL. It’s truly the best job out there. I have found most people in the writing community to be awesome and helpful. I love when you mention the panel members cheering when you mentioned snagging an agent. That’s exactly what I’m talking about. Like squirrel circus I just found your blog too, and I think I’ll stick around. I’m glad you’re sticking around! I’m heading to your blog…now! The writing community IS lovely. I think it’s because everyone has a hard time at one point…so everyone has the “I know what you’re going through” sympathy. We’ve all been through ups and downs. And we all want everyone to succeed. 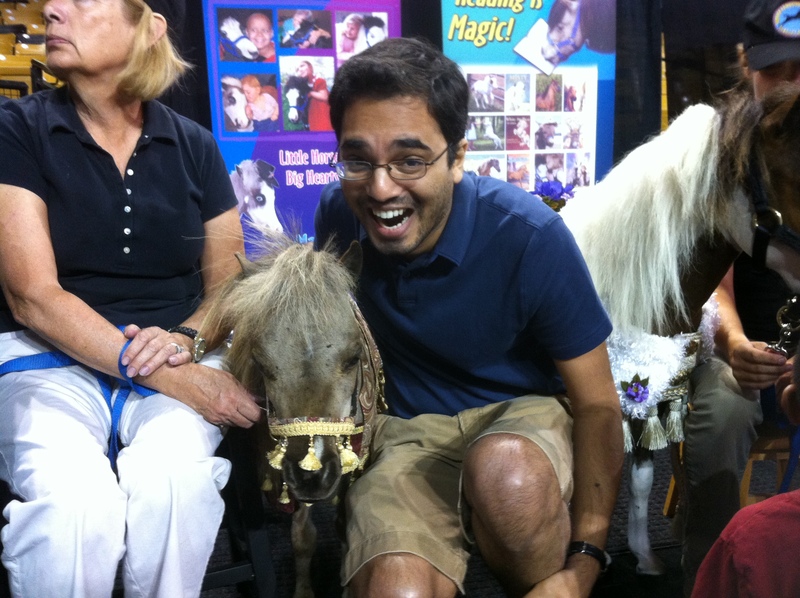 Well that makes sense, what kid wouldn’t want to ride a mini-pony? I might even read a book or two for a ride!